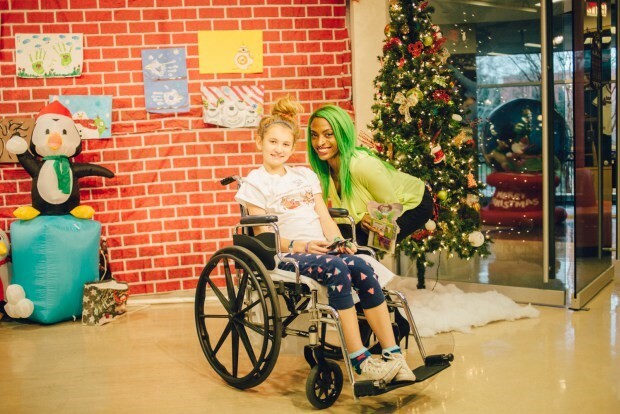 As a mental health advocate, singer, producer, and EDM (Electronic Dance Music) DJ, Zoey Clarke, takes initiative in raising awareness about mental health, not only throughout the music industry, but all over the world, as well. After surviving deep depression from a miscarriage that to mental illness and being cyber stalked, Clarke mustered up the energy to hit the studio and get her “creative juices” flowing. Creative Juices, the name of her latest mixtape, is infused with the pop, trap, R&B, and hip-hop EDM sounds her fans and her peers approve of. Her alliances on this project include Atlanta’s infamous DJ Scream, who’s worked with artists such as 2 Chainz, Plies, Juicy J, Jeezy, Snoop Dogg, Gucci Mane and more. 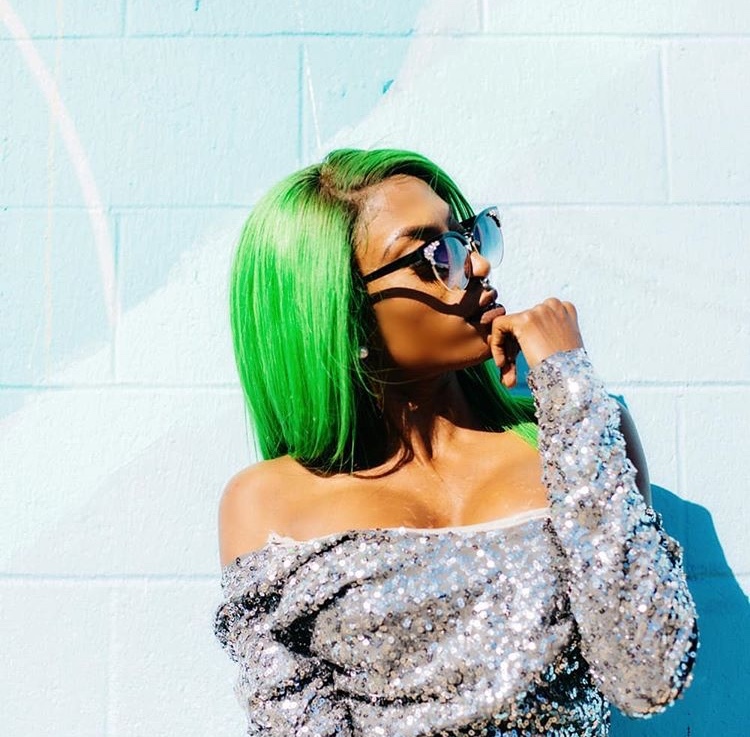 From songs with Fetty Wap, to opening up for Fantasia, B.O.B., Sean Kingston, and K. Michelle, Clarke has reclaimed her time, winning crowds over with her EDM Certified Scratch Academy DJing skills, and personality. As a result of surviving mental illness, Clarke takes pride in creating a healthier lifestyle to regain her strength. Discovering that diet affects mental stability, Clarke then started what she called the Green Smoothie Movement during her previous employment at Arden’s Gardens, a smoothie shop in Atlanta. When pitching the idea to loyal customer DJ Scream, Clarke’s intention was to create mental health awareness through the green smoothie movement, and through her music. A year later, the two joined forces to collaborate on what is now Creative Juices. Aside from music, philanthropy is a must for her. Her non profit organization, D.A.V.I.D. (Dance, Art, Voice, and Drama), aides young musicians by presenting future opportunities and organizing charity events for local childrens hospitals. Clarke’s career is gracefully headed in the right direction. With her resilience and humility we all want to know what it is that keeps her going. Read what she shares with rolling out below on her journey into stardom. Being a black female EDM DJ is very rare in the industry. Tell us more about your journey and how it’s been for you? I try not to think about any limitations when I go for something I love, but obviously there isn’t a lot of girls that look like me in my genre. I’ve used it as fuel to win like I do with any other talent. I’m okay being different. I haven’t had any negative situations because of my race. EDM is a family but I definitely notice that as a female you have to fight harder for respect as a DJ and in EDM you are nothing if you can’t give them that bass. Your style is very dope, youthful, and you seem so free! What are some adversities that contributed to setting yourself apart from other female DJs? I’ve overcame a lot to be able to even make music this year. I had a cyber stalker who attempted to physically hurt me. I suffered a miscarriage that introduced me to mental health issues and deep depression. I hope that my sound comes across authentic and yes FREE because I am now of all the things that mentally were holding me back. What was it like connecting with the crowd, opening up for K. Michelle, Sean Kingston, B.O.B, and Kap G? When I’m on stage nothing else matters. I leave all of me up there. To perform for such dope audiences was amazing. Plus, I always love winning over a crowd that’s not really there to see me. Why was EDM your first choice in music instead of rap, hip-hop, and R&B? It’s a vibe. I’ve always been into house and techno. Fuse that with trap, dub step or bass and you’ve got EDM. It’s everything I vibe with in one sound. But one genre is not better than another. It’s just a different vibe. Describe the feeling EDM music gives you that no other genre can make you feel. When that bass drops … it’s euphoria. I could die right after that. There’s nothing that compares. Tell us about the D.A.V.I.D. organization, its mission and the services you provide. We organize community events across all needs throughout the Atlanta area. I have a soft spot for children, so most of our events cater to or benefit kids. We provide low or no-cost performing arts lessons, free meals to homeless fathers and toys to hospital-bound kids. Tell us about the collaboration with DJ Scream. How did it come about? How was it working with him? Scream is a humble person and he used to come into my job all the time. I never mentioned I do music. One day my coworker asked me “So you went through all that just to work here forever?” The next time he came in I sent him an email and we spoke about my goals for an hour. I just knew working with him would be different. It’s been dope learning from him. How did green smoothies contribute to Creative Juices? That’s DJ Scream’s drink: a Spinach Slam. I always heard that he needed an elevator pitch. Once I had his ear, I knew I had the time it took to make his Spinach Slam to convince him I was dope. A year later, we dropped “Creative Juices”. How does your Green Smoothie Movement tie into your mental health advocacy? Green is the color of Mental Health Awareness. It’s perfect because it symbolizes growth, prosperity and wealth. Also, a lot of research has been done to confirm that your diet has a lot to do with your mental stability. I started working at a smoothie shop specifically because I couldn’t afford my Prozac [medication] out-of-pocket without health insurance. I needed a discount on healthy food as well because it costs more to eat better. The Green Smoothie Movement is to create awareness to all of these issues. People want to get better. They need information and resources. What is your advice to mental health victims in the music industry who struggle with naysayers? F–k em. They don’t know what it’s like to battle your own brain everyday. If they did, they would hug you and help you release creativity instead of judging you. Take all the criticism and misunderstanding and put into your gift. Stay authentic even if that comes across as crazy to other people. Somebody will feel you. You got this.